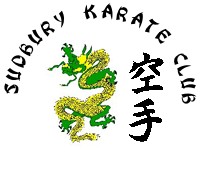 It is our aim as an association to offer all of our students a safe, friendly and fun environment in which to train. All SEFKA instructors are First Aid qualified and CRB checked. We aim to produce the best results possible in each of our students, regardless of age, ability or disability. We aim to teach students to be courteous, respectful and to refrain from violence. New students will be encouraged to learn new skills at their own pace, there is no rush to complete the syllabus, as there are many techniques to learn. Most people who start martial arts want to get their black belt as fast as they can, thinking this is the end. When most people are eventually awarded their black belt, they have come to realise that they are only just beginning learning true Karate. Throughout history the martial arts have continued to evolve, always looking for better methods and techniques. Our own style is typical of this philosophy. We are always looking to improve our karate, but not forgetting our traditional values. We also use kata from the same origin. In addition we have Japanese and Okinawan kata for supplementary training and for use in W.K.F. tournaments. The basic blocks and punches are common to most styles although slight variations exist depending on origin. Our basic techniques are our own interpretation of these moves. Our association was formed in 1984 . When after much consideration and discussion with his senior members, S.E.F.K.A. Chief Instructor and chairman Trevor White decided to form his own group. This allowed, amongst other things, a more open minded approach to Karate training and more interaction with instructors from different styles. Amongst those joining him in this move were Bob Plumb 7th Dan (now Vice Chairman) and Colin Plumb 7th Dan (later to become English Karate Champion) who are now both senior instructors in the association. Since its inception the association has mainly expanded from within, but has also been pleased to have other clubs of good standards join the group. The association is a multistyle organisation and will only accept clubs into membership if they are personally recommended by an existing member instructor. The club and its instructor must then satisfy the associations technical committee that its standards of Karate are high and that they are committed to the improvement and well-being of the association.